(CNET) -- Just because the Internet has broken down geographic barriers, don't assume that Google doesn't care about geography. 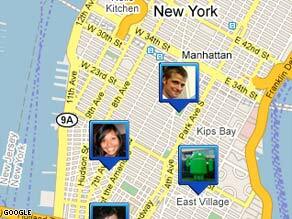 With Google's new Latitude software, cell phone users can share their locations with others. The software spotlights Google's fixation with mapping and location technology. Location is an important part of navigating the real world, and Google clearly sees its geographic services as a way to establish a more personal connection with customers who today use Google chiefly for the virtual realm of the Internet. And of course money is involved, too: Google hopes its mapping technology will lead to location-based advertising revenue. There are a lot of occasions where technology is better for maintaining relationships than it is for establishing them, and this looks like one to me.